My search for beautiful scenics of Rhode Island during fall foliage season was interrupted for a few days as a Nor’easter blew through. What it also did was blow most of the leaves off the trees. One good thing is that now the rivers have a better flow and waterfalls and dams look better. It took me a while to find this mill. 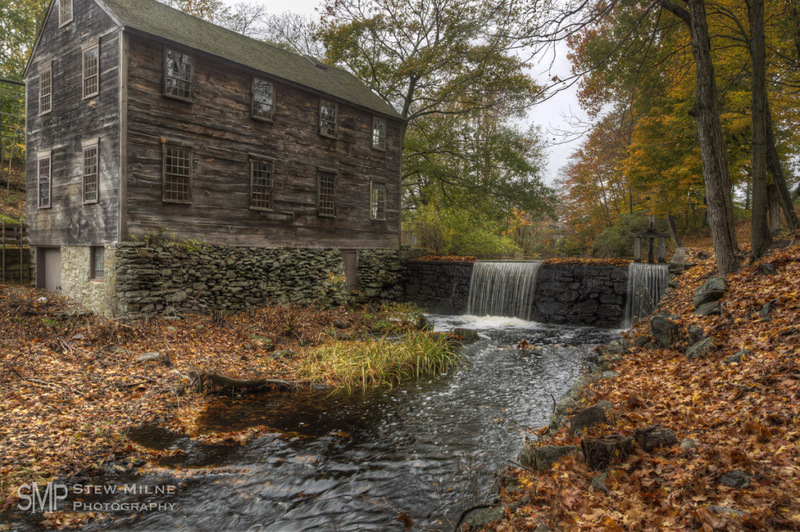 It’s Moffett Mill, circa 1812, on the Moshassuck River in Lincoln, RI. I had been here about 10 years ago on an AP assignment with Rep. Patrick Kennedy. We got to go inside the mill. I don’t remember what the assignment was about, but the mill is really cool. Moffett Mill, located on Great Road, is believed to be the first machine shop constructed in Rhode Island.